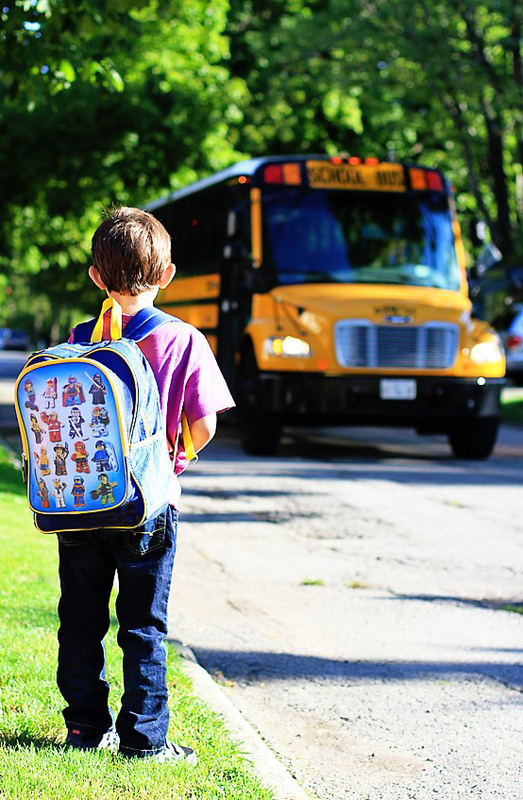 As a principal for the last 13 years, I have come to the realization that the biggest threat to the emotional and academic well-being of our children is me – maybe not me personally but principals. 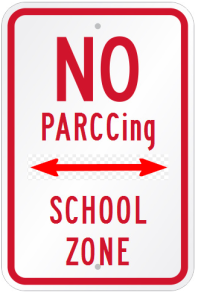 Principals are telling teachers to do away with play in school because, “We need to be more academic.” The problem is that all the data and the research out there proves that statement 100% false. Play in all grades, especially the early grades, is necessary for students’ emotional, behavioral and academic success. I am heartbroken to hear parents in my town tell me “kindergarten is too serious” or “my child was labeled ADHD because he can’t sit in kindergarten.” I am here to tell principals we need to become part of the solution. This account is one more piece of evidence in a growing pile of data that shows children learn best through play. Four years ago I was hired to turn around a school that was dubbed “The Worst School in the State” by a, then, assistant superintendent. I discovered the principal before me made all kindergarten teachers throw out their sand tables, kitchen centers, and blocks to make the early years more academic. 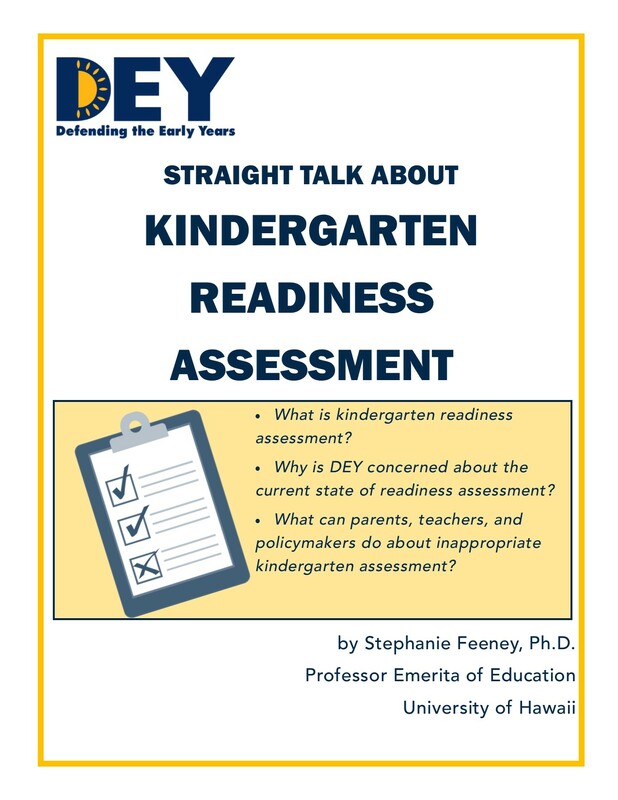 At that time, less than 30% of kindergarten students met the state benchmark for early reading proficiency and there was 350 out of school suspensions in a school of 500 students. Clearly, the get tough, “no excuses” policies were not working. Remarkably, there was one teacher on the grade that wanted nothing to do with this “experiment,” so she became the control group and life in her class stayed much as it had last few years according to district recommendations. 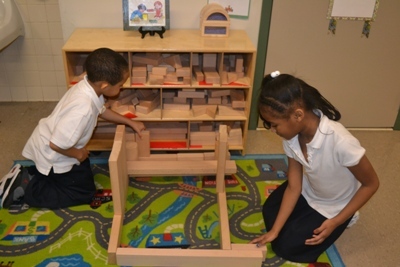 Two of my kindergarten teachers embraced the idea of play in the classroom and flourished. Jessica Scire, who had been teaching for five years, seemed a bit depressed with her class prior to the experiment, but then, with a big smile, declared, “This is what I was went to school for. 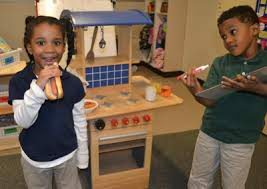 This is why I went into teaching.” She created a play center with a pizza restaurant where each day students created scenes from the restaurant that included wait staff taking orders on paper, delivery drivers, and dinner conversation. Lisette Garcia was the other teacher who later told me of her subversion, “I’ve been doing play even when we weren’t supposed to because I knew my kids needed it.” Now, with the blessing of the principal ,her kitchen center was brought to its glory. She shared, “It builds their vocabulary, especially for my ELL students.” Throughout the year, Scire and Garcia incorporated elements of movement, song, and play in all their subjects and the kids thrived. What was surprising to some was the incredible academic gains the two play classes made this year. In the class where they created stories in the pizza restaurant, 67% met the state benchmark for kindergarten reading. In the class with a vocabulary-rich kitchen center, 61% met benchmark and that includes a high number of students whose first language is not English. These were the highest reading scores in the school’s history. The teacher who wanted to be “more academic” had just 35% of her students scoring at benchmark. Brett Gustafson is the husband of early childhood educator Libby Rackliffe-Gustafson and the principal of James Curiale School in Bridgeport, Connecticut. 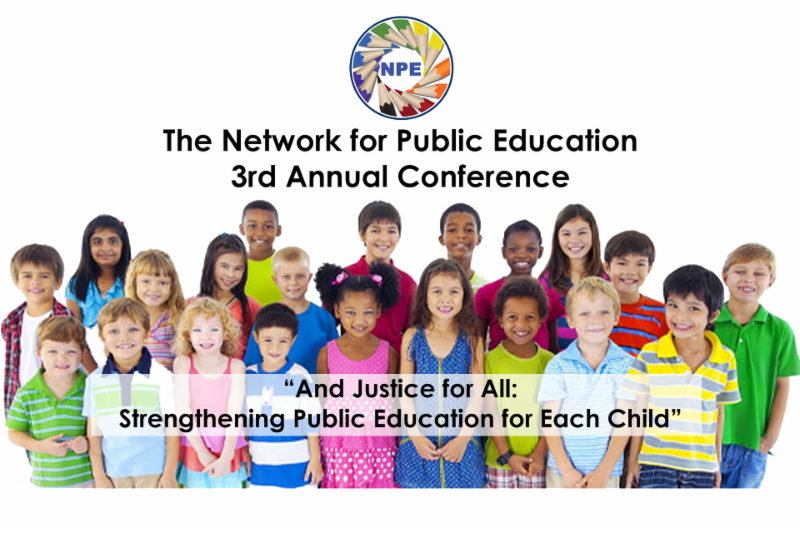 This week in Boston i s a Week of Action to Save Our Public Schools. For many of my fellow Boston Public Schools teachers, I know it’s felt more like a year of action with everything that’s gone on. As part of the other actions I will take this week, I want to give voice to a group we rarely hear from: elementary school students. I teach second grade. 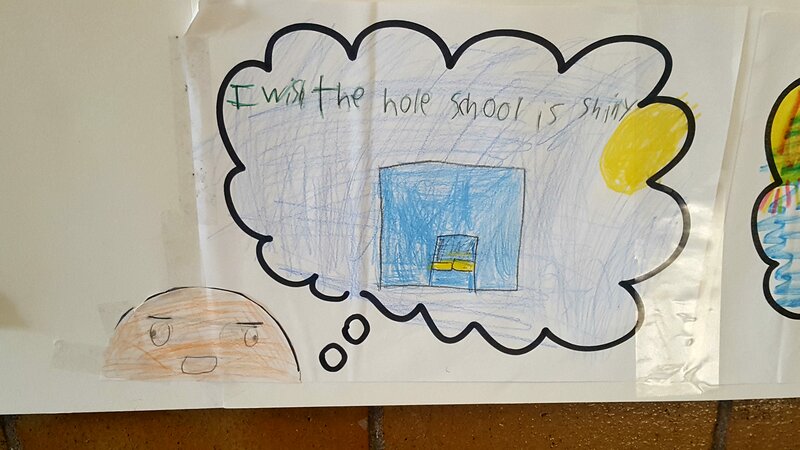 Yes, second graders are adorable but they are also keenly aware of the world around them. Their endless curiosity leads to a unique perspective on everything from the best Taylor Swift song to the worst food in the cafeteria. For the last few weeks, I’ve been studying activism with my students. We’ve studied famous activists from history, learned about the variety of ways people take action and have had community activists and student leaders come speak in our classroom. After watching their families and teachers advocate for the budget and feeling inspired by the bravery of local high schoolers who led a walk out, my students decided they wanted to take action too. 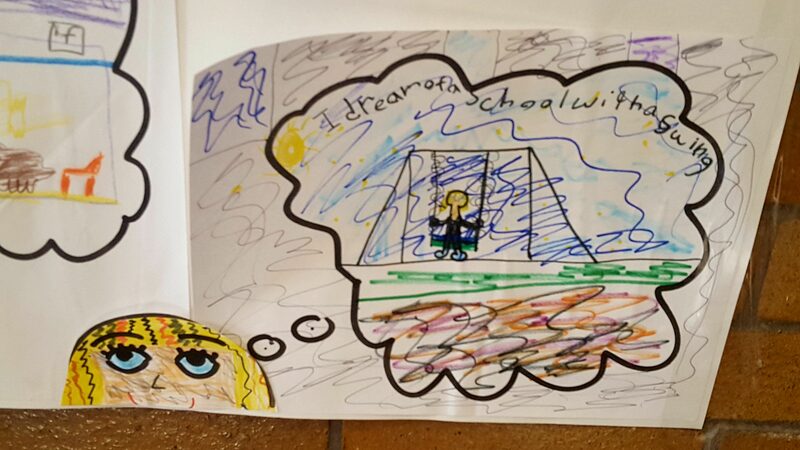 Yesterday, we started by making a mural that showed what their dream school would be like if money was no object. Let me start by saying th at when I was seven or eight and attending a fully-funded public school in Winchester, MA, I would have dreamed of having over-the-top things like a swimming pool or something outrageous like a movie theater. My students, attending a chronically underfunded school, instead requested things like pencils, markers, and glue sticks. 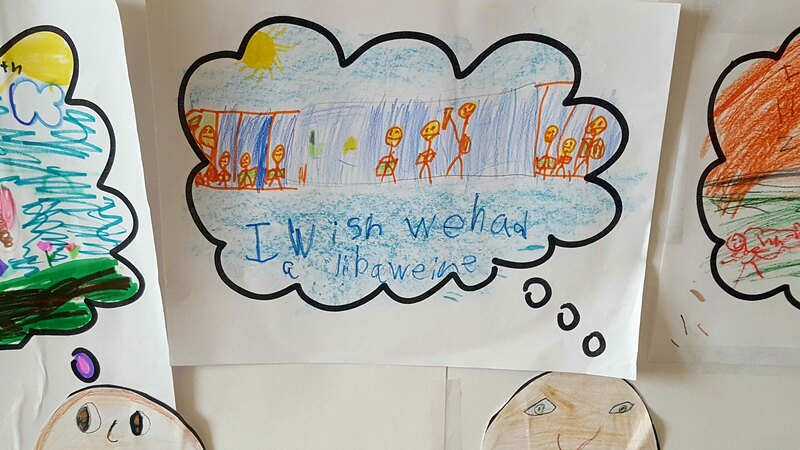 One student asked me if he was allowed to simply say that his dream school would be “shiny and new.” Another student asked if it was too big to dream of a school where kids who felt sad could have a room with soft things and people to talk to. Many students dreamed of a better playground and some asked for a class pet and field trips to far-away places. As they were working, a student came over to ask me if some schools have a whole library in them rather than just one in their classroom. When I said yes, he changed his mind from a swing set to a library. So, please, stop telling me that our schools are fully-funded or that our budget is as big as it can get because my second graders can show you that it’s not. I feel lucky to work in a school with a principal who fights like crazy to get my students what they deserve and knows that they deserve more than what we’re able to give them. But, at the end of the day, without a bigger budget, it’s out of her hands. At this point, it’s hard to not see this budget as a value judgment about the lives and futures of my students. I think I’ve changed my mind. When I introduced this activity, I originally said I dreamed of a school with an outdoor garden that my students and I could use to grow healthy food. 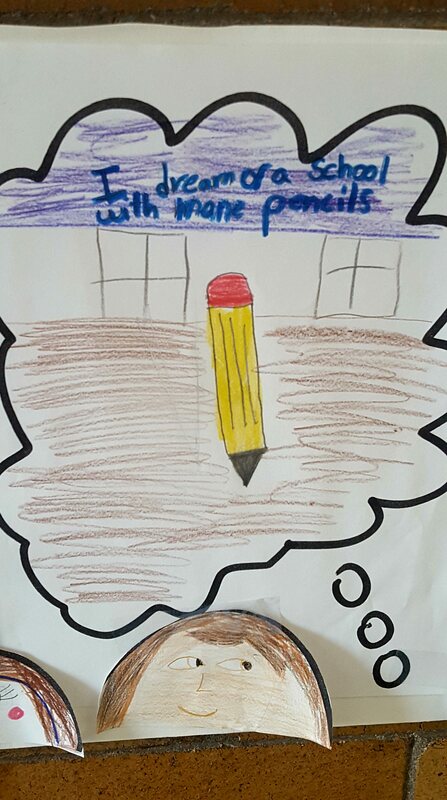 Now I think I dream of a school where seven-year-olds don’t have to just dream about the schools they deserve. Lily Holland teaches second grade in the Boston Public Schools. Buy a house in an affluent suburb. …what if a necessary component of improving the long-term prospects of small children from disadvantaged backgrounds is not accelerating through childhood, but purposefully lingering in it? This is a terrific article that I will share widely. Thanks, Emily, for seeing through the smokescreen of rote learning and chants for success which have just about nothing to do with real learning in the early years. 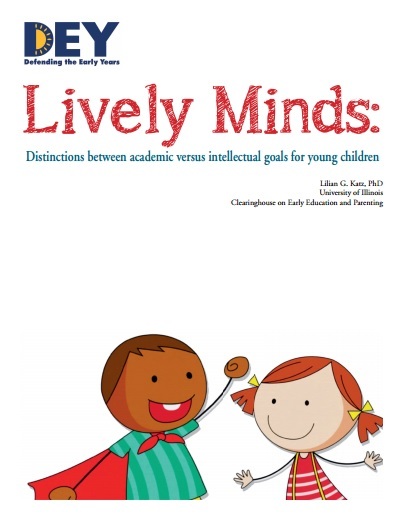 Thanks too for great descriptions of developmentally sound education–the place where kids gain the deep capacities for real success: thinking deeply, solving problems, imagining and creating, inventing, getting along with others, gaining confidence socially and as learners. 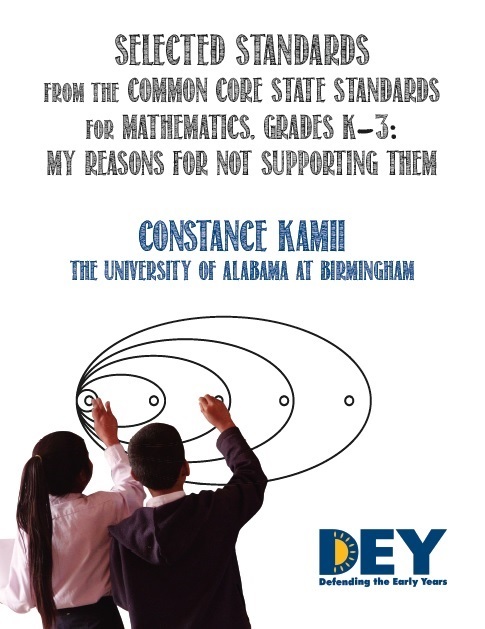 And thanks to Dienne for naming exactly a problem we white early childhood educators have. We need stronger alliances, more diverse voices and more trust across groups if we are going to give all young kids the best education possible. And Emily, thanks for naming poverty as an obstacle to that goal. We can’t solve it all in the schools. Click here to read Emily Kaplan’s full essay on the EduShyster blog, and don’t forget to also check out the comments! 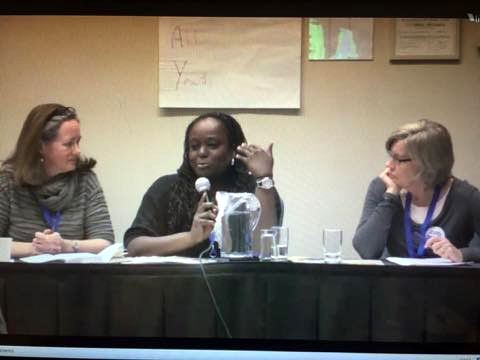 Our DEY panel at NAEYC received a standing ovation! 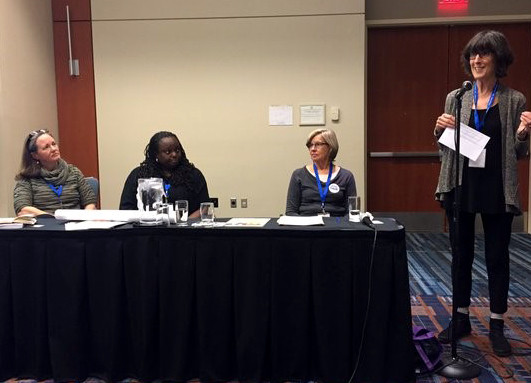 Diane Levin facilitated our panel on the challenges of the Common Core – drawing on the expertise of Joan Almon, Constance Kamii and Lilian Katz. Their messages, which are captured in the advocacy reports they have all published with DEY, truly resonated with the audience. We were able to archive much of the session on video, and have added the clips to our Defending the Early Years’ YouTube Channel. You can also watch clips from our organizing meeting with Denisha Jones. We had over 50 people in attendance to work with us in identifying key educational issues as well as potential next steps for dealing with the issues. Thanks to Blakely Bundy for her immense help in making this event a success!